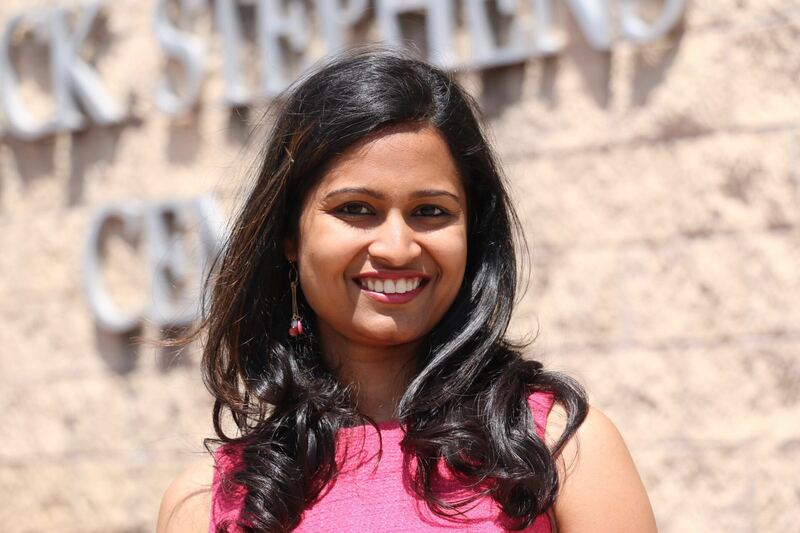 IQ Graduates at Work – Sneha Jetti: From an Intern to Full-Time Developer at SpotRight, Inc.
Sneha Priya Jetti was graduated from the Master of Science in Information Quality (MSIQ) at the University of Arkansas at Little Rock (UALR) in May 2016. Sneha is originally from Guntur, Andhra Pradesh, India, where she earned a bachelor’s degree in Electrical and Electronics Engineering from the R.V.R & J.C College of Engineering, Guntur in 2012. During her undergraduate program, she also worked at Cordys Software where she joined a team to develop a Business Process Management (BPM) platform. She also worked on Business Activity Monitoring (BAM) which included a Big Data platform. One of the things she liked most about the UALR IQ Program is the way it is designed which allows students to learn about latest technologies and current market trends. Most of the tools and technologies used on a regular basis by Big Data Developers are included in the coursework like Hadoop, Spark, Entity Resolution, and Talend. Sneha completed her program as a full-time, resident MSIQ student. All the projects she completed during her time at UALR have given her a better understanding of how Information Quality principles can change the way we look at data and how to handle them effectively. “Each course taught me something new, something I am now applying to my current job.” Sneha’s favorite subjects were Entity Resolution, IQ Tools, System Analysis, Social Media, and IQ Policy and Strategy. “Taking these courses was a wonderful experience,” she added. Sneha currently works at SpotRight, Inc. as a Software Developer. SpotRight is a consumer insights company for marketing strategies. The company provides a platform to combine online social media data and offline consumer data to understand audiences and compare the audiences and the influencers of a brand. She joined as full time employee starting in June, 2016. Prior to that date, Sneha worked for SpotRight first as a graduate assistant under Dr. Talburt’s supervision, then later as an intern in the spring 2016 semester. At SpotRight, the teams build a platform, which provides insights using the social and consumer data. Sneha must deal with very-large data sets. She puts these into a database, sets up tools to analyze the data, and produces reports on demand. She also adds features to the platform for additional insights to the customer. She uses Big Data applications such Cassandra, MongoDB, Spark, Hadoop and Scala programming language on a regular basis.